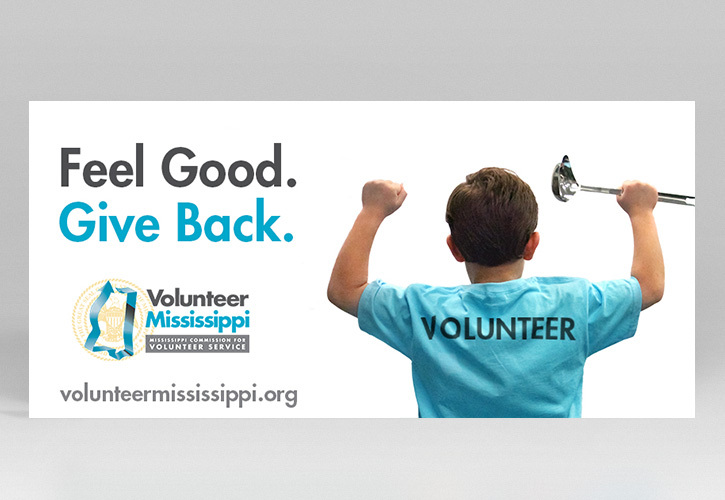 Volunteer Mississippi is an organization that engages and supports Mississippians of all ages and backgrounds in service to their community. Through the efforts of Volunteer Mississippi, the statewide volunteers and national service members make a difference for children, senior citizens, veterans and military families. The Cirlot Agency was selected to help Volunteer Mississippi increase their number of volunteers throughout the state and gain additional awareness of the organization. Through researching volunteerism, the Agency discovered that many volunteers get as much goodwill out of the experience as the recipients. This led to the creation of the “Feel Good, Give Back” campaign. The Agency blanketed the state with the message, using outdoor, social media, radio, and television, as the main avenues of dissemination. These avenues of communication were targeted to current and prospective audiences throughout Mississippi. 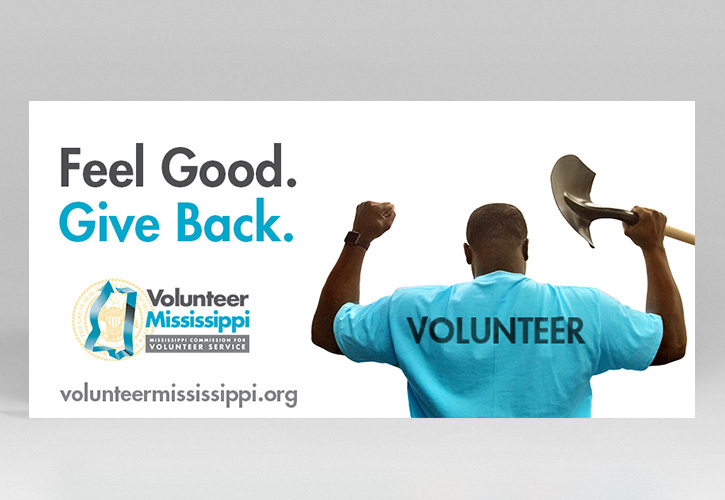 The multi-tiered campaign not only heightened awareness of Volunteer Mississippi, but also called existing and new volunteers into action from across the state, persuading them to get involved in various events around their local community. After the first six months, the social media campaign alone reached well over 118,000 views with over 338,000 impressions. Media interviews, which were scheduled with media outlets across the state, as well as the outdoor campaign, which was placed throughout the State, generated hundreds of new volunteers for Volunteer Mississippi. 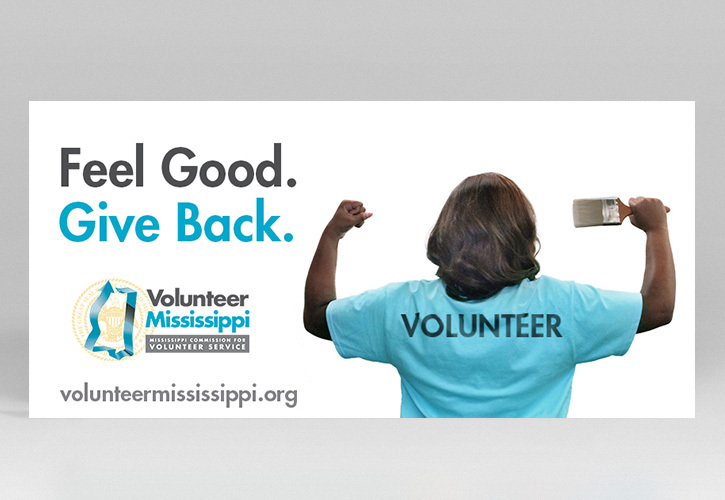 With these efforts, Volunteer Mississippi is stronger than ever in their mission to engage and support Mississippians of all ages and backgrounds to serve their communities through volunteerism.